The hotel offers comfortable, quiet and modern rooms, as well as free WiFi in the entire hotel and free private parking. All rooms are air-conditioned and equipped with satellite TV. The restaurant is located on the 11th floor and serves excellent cuisine. Stunning views of Riga can be enjoyed there. A lobby bar is also available. 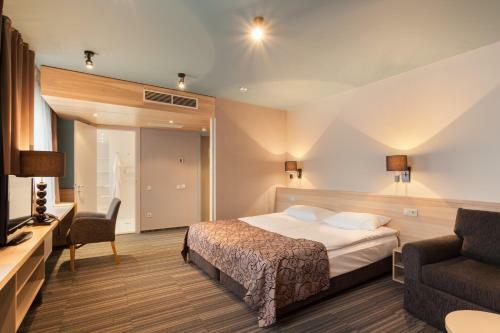 Ibis Styles Riga is located within walking distance of many shopping centres, restaurants, museums, sports clubs, and excellent public transport connections. Joker Club with wellness area, fitness center and bowling with a hotel discount is available nearby. The Arena Riga entertainment and sports centre is a 2-minute drive away. Riga’s train station can be reached in 20 minutes. 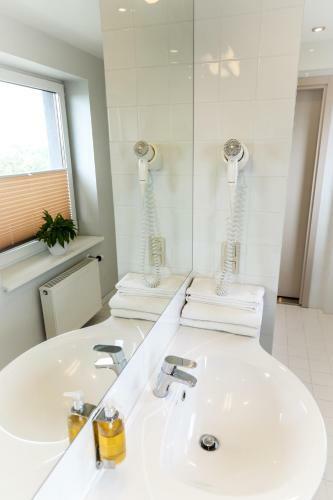 If you are looking for a classic bed and breakfast or holiday hotel close to centre of Riga, you have found the right place. All rooms are cosy, quiet and peaceful. 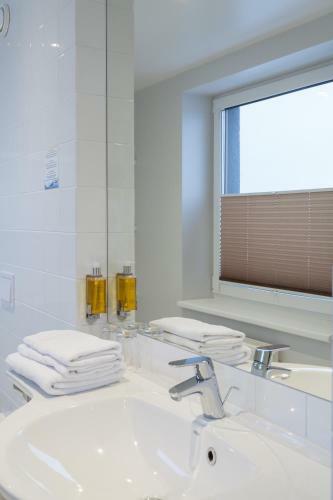 The hotel is ideal for families and groups, as well as for visiting Riga alone or as a couple. 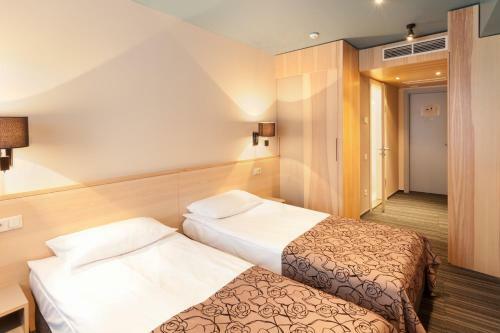 Our hotel is located within walking distance of the old town, many shopping centres, restaurants, museums, sports clubs and excellent public transport connections. 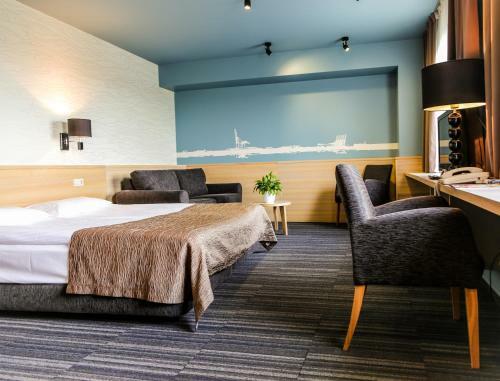 The hotel is located on the Daugava River's right bank, only a 15-minute walk from Old Riga and 10 minutes from the Passenger Terminal. It takes only 20 minutes to reach the exhibition hall BT-1 in Kipsala and Riga's train station. The Arena Riga is a 2-minute drive away. Our restaraunt is open for breakfast (buffet) from 07:00 to 10:00 Monday to Friday and from 07:30 to 10:30 on weekends. The business lunch is available from 12:00 to 15:00. The restaurant is open daily until 23:00. Děti jsou v hotelu vítány. Za použití stávajících postelí pro všechny děti do 5 let se neplatí.Za přistýlku pro 1 starší dítě nebo dospělého se platí 20 EUR na osobu a noc.Dětské postýlky nejsou k dispozici.Maximální počet přistýlek na pokoji je 1.